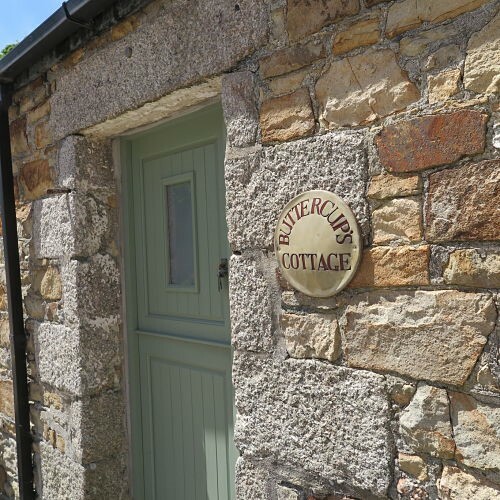 The Courtyard Cottages and the Farmhouse Wing are traditionally built of mellow Cornish stone and enjoy the most lovely views across the surrounding countryside of fields, a stream and wooded valley down to the sandy beach at Portreath which is great for children and also for surfing. On still nights, the waves can be heard breaking on the Portreath shore. All the accommodation is fully equipped to cater for your convenience whilst on holiday. There is plenty of off road parking space by the cottages and boat owners will find room for a trailer or small boat. A laundry room is provided on the farm with two washing machines and tumble dryer for guests' use. There are microwaves, flat screen televisions, DVDs and docking stations in all cottages. Central Heating from the Biomass boiler is included in the tariff all year. Dogs are welcome in all our accommodation at a cost of £15 per dog, per stay.